Queer friendly schvitzing is now available at the HotBox Mobile Sauna parked at Nowadays for the season. HotBox launched Sweat Sanctuary last week to create a monthly safe space for queer women, trans and non-binary folx that want to sweat out the winter blues. The couple behind the HotBox are business partners and life partners, Jackie Aude M and Paula Wegman, who have lived in New York for over 10 years. Wegman shared why they started Sweat Sanctuary. The owners hope that the local community will come to experience the benefits of sauna and join the sanctuary to improve both mental and physical health. They claim it to be an alternative space to get together and be social and celebrate mental well-being. These sessions are offered at a discounted price for accessibility, as well. what a truly wonderful, super hot weekend. The mobile sauna has since then done multiple pop-up residencies around the five boroughs. They cater to each location with individual solutions based on the community. The couple was introduced to sauna culture later in life, completely changing their perspective on bath culture and its’ ceremonial aspects. Many patrons that night were relieved to be surrounded by their community and felt at ease during the healing sweat session. The owners are excited about how their first queer night went. “Overall we heard nothing but positive vibes and enthusiasm for the next Sweat Sanctuary event,” they said. The session included access to the sweat lodge, a fire pit with s’mores, and an outdoor shower to cool off. 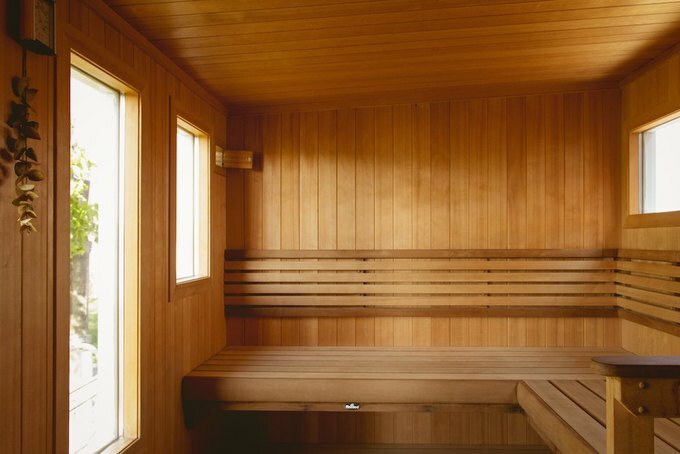 The sauna can accommodate 8-10 people at a time is kept at a toasty 180 degrees and patrons are encouraged to throw water on the rocks for an extra wave of humidity to get sweating. The outdoor shower was built by Katie Whitaker, a local woodworker and artist. The next Sweat Sanctuary is being planned for the afternoon of December 16th, to stay up to date follow HotBox on Instagram and Facebook. Don’t forget to bring a bathing suit! Towels are included in the session and robes can be rented for three bucks.